sewing machine. No set-in seams, no curves. Full size pattern. 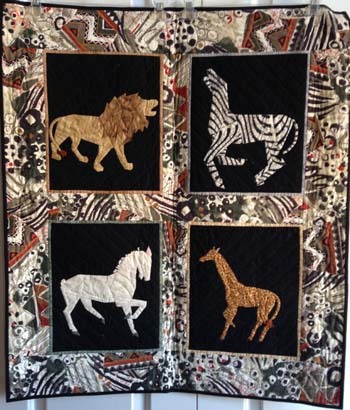 Lion, Zebra, Giraffe and Prancing Horse are all 10x12 inches. Notes: Fun to do. A great value.